Ok, so the idea is to choose a theme and whoever wants to join in sports an icon of the winning theme for 3 days or so. At the end I put all the icons into a pick and we vote on the best one. No bashing other people's choices/icons, etc. Saddest One Tree Hill scene. Choosing icon for another participant. Scenes that take place at Tree Hill High. If anyone has a suggestion for a future theme just put it down & I'll add it to the list. That's all I can think of right now! Lol. I have a theme suggestion. It might take a bit of working out to get it right, but I think it would be really fun! Everyone that is participating is assigned one of the other participants & we get to choose that persons icon(s) for the time the theme runs! Obviously there would be some stipulations - No choosing icons that are anti/negative towards that persons favorite character/couple etc. ^^ that sounds like a good idea. 1.) Choosing icons for another participant. 1.Choosing icon for another participant. 5.Saddest One Tree Hill scene. Thanks everyone for coming up with more themes! We could maybe have a week for a specific character or couple too? I've put down all participants for round 1! You only have to wear the icon for 2 days. Oh are we already doing it?? lol I didn't know it had started yet! Wait, so we post the icons we were wearing for the OTP theme? Lol, I made a pick about it but it probably got buried. I'll announce things on the wall from now in. I've got all the icons people have been using saved, so you don't need to post them. At the end of each icon-a-week club I make a pick about how wore the best one for that time & the winner gets props & gets to choose the next 5 themes for the next pick. You only actually wear the icons for 3 days, because the whole voting for a theme process takes about a week anyway. 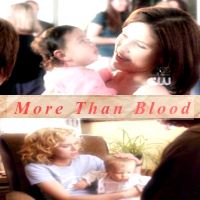 The icon-a-week club's first theme OTH OTP ends today. Holy crap that's gorgeous. So many pretty icons actually. Jess, how about I put the Brathan icon on? A lot of people already have BL, but if you'd prefer BL i'll add them to the pick. Winner for your OTH OTP is Jessica4695. She gets to choose the next 5 themes to go on the pick! I want to join !! so what we do is you or the winner will pick a theme and whoever has the best icon wins??? btw: my name is Nikki if your wondering. Can I join in this next round? After we find out what the winning theme is do we have to post the icon we will be using on this forum? You don't have to post it in this forum but you CAN if you want to.